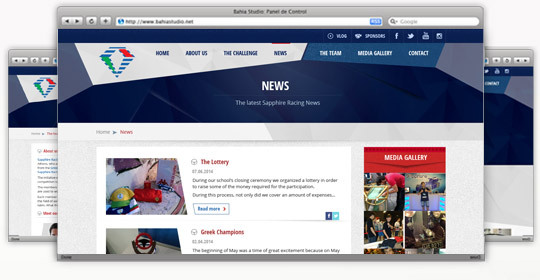 WebOlution designed & developed the brand new site of Sapphire Racing Team. 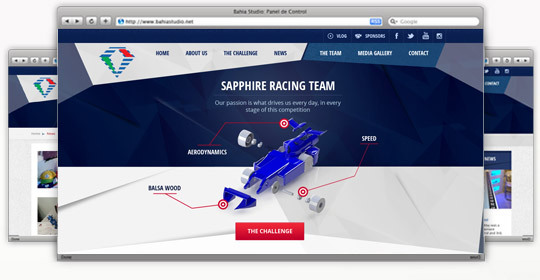 Sapphire Racing was formed in September 2013 by a group of 11th grade students from the Italian School of Athens, who are now participating in the challenge for the first time. Although there were already two teams from the Greek section of the school that had participated in the F1 in schools challenge in the past, Sapphire Racing is the first to represent the Italian section.